South University, Novi is not currently enrolling students and the campus will be closing. If you are a current student with questions, please call 855-758-5662. If you are interested in a South University program of study at another location or online, please call 855-758-5666. To request your official transcript, simply print and complete the transcript request form. We must have your signature, along with the $7.00 fee in order to process your request. Mail your completed form and fee to the address provided on the form. Our International Student Advisor is here to provide guidance in regards to transferring to another institution or filing for Optional Practical Training (OPT). Please feel free to contact Melissa Domblisky via email at mdomblisky@dcedh.org or call 480-327-3439. Assistance for international students is available up to 60 days after program completion or 60 days after OPT authorization ends, whichever occurs first. Competitiveness in the classroom. Readiness for a rewarding career. Nursing programs build caregivers, but for those who take an interest in the business of healthcare, there is the Bachelor of Science in Healthcare Management program. 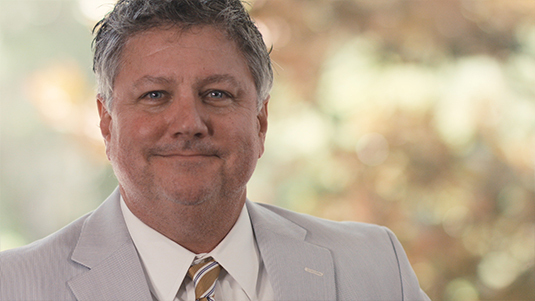 Dr. Brian West explains the benefits of earning this degree. My name is Bryan, and I'm the Program Director for the Bachelor of Science and Health Care Management Program at South University. The Bachelor of Science program is designed to orient those interested in a career in Health Care Management to the information they would need to be successful in an entry level position in that career. It's suited for people who have an interest in Health Care, but maybe not necessarily on the caregiving end of healthcare. The great thing about the program here at South, is that the students are engaged one-on-one with the professors, whether it be on ground or online, there's ample opportunity to get personal instruction in their degree requirements. The curriculum involves a wide range of subjects required for success in Health Care Administration. That includes finance, economics, ethics and law, research methods, information technology. If you're interested in a degree in business, this program is great for you because you get exposure to all the training you need to be a successful business person. In addition, you have exposure to the unique business environment of healthcare. Behind every successful healthcare delivery system is a leader with a strong business mind. South University understands that healthcare administrators and managers need a strong foundation of business competencies and management skills to be successful, so we tailor our curriculum toward that goal. You’ll have the opportunity to learn invaluable business analysis and decision-making skills specialized for this profession. Administrative Office: South University, 41555 Twelve Mile Rd., Novi, MI 48377 © 2019 South University. All rights reserved. Our email address is materialsreview@southuniversity.edu.